I don't discuss editing near as often as I discuss writing, but my editing career stretches back almost as far as my writing career. My first published writing was a poem in my junior high school's literary magazine when I was in the 9th grade. My editing career began two years later with a science fiction fanzine my best friend and I started when we were high school juniors. I then edited my high school newspaper as a senior, continued editing and publishing my fanzine for several years post-high school, and later edited several company and organization newsletters. For many years now I have been editor of a weekly newsletter, managing editor of a bi-monthly consumer magazine, and an editor for a monthly tabloid newspaper. Additionally, I have edited eight crime fiction anthologies (five published and three cancelled prior to publication) and one essay collection. Editing Knights, the fanzine Joe Walter and I started in 11th grade, brought my first contact with professional writers. 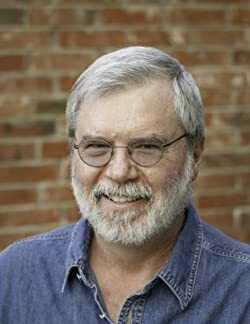 I published regular columns by Grant Carrington, Charles L. Grant, and Thomas F. Monteleone, and work by Robert Bloch, Algis Budrys, David Gerrold, Larry Niven, Jerry Pournelle, and many other writers who were then, or later became, widely published science fiction, fastasy, and horror authors. These are the writers--especially Grant, Charlie, and Tom--who taught me by example what it meant to be a professional writer. I have tried, as a writer, to live up to the standards of professionalism these writers exemplified. As an editor, I wish other writers did the same. Plagiarism. In a word: Don't. Several years ago, a regular contributor to one of the publications I edit submitted an article that included a quotation from a famous play. As part of my editing responsibilities, I searched for the proper attribution (author, play, act, scene, line) and discovered instead that the quote was but a small part of a significant portion of the article that had been lifted verbatim from another source. When confronted about this apparent plagiarism, the writer provided many excuses for the grievous failing. Though I sometimes see that writer's byline in other publications, that writer no longer contributes to the publication I edit, nor will that writer ever contribute to any other publication I may edit in the future. Failing to withdraw work accepted elsewhere. Within the past year, I prepared an article for publication, all the way from initial editing through page layout. While in the process of determining how best to illustrate the article, I learned it had been published in a non-paying online publication a few days earlier. The article was removed from my publication's production schedule and replaced with another. Not only did this writer lose income, but it is unlikely the publication for which I edit will ever again consider this writer's work. Failing to incude contact information. Writers frequently fail to provide complete contact information (name, address, phone number, and email address) on their manuscripts. During the production process, email attachments often get separated from submission emails, so that, even if this information is provided in the body of the original email, I have a difficult time tracking it down several months after submission when the work is slated for publication. Worse, though, is what happened recently. An article made it all the way through to publication. When it came time to pay the writer, we discovered that the only contact information we had on hand--after searching through a year's worth of emails--was the writer's email address, and the writer has not responded to any emails we've sent requesting a mailing address. For this failing, the writer might never be paid. Submitting sloppy manuscripts. Though I rail against sloppy manuscripts as often as possible, this transgression is irritating rather than career threatening. 1. Put your name, address, phone number, and email address on the manuscript itself. 2. Number pages using Word's Header/Footer command. 3. Be consistent. For example: However you indent your paragraphs, indent every paragraph the same way. However many spaces you put between sentences, put the same number of spaces between all sentences. However you indicate an em-dash, indicate an em-dash the same way every time. And so on. In the end, remember that editors are striving to produce publications that attract readers, and you are striving to produce work for editors that will do just that. So, treat your editors and your work with a high level of professionalism. If you do, you should avoid ever providing the examples someone like me uses to frighten new writers. Good stuff, Michael. Always good to be reminded of the basics, which sometimes slip away over time. Great seeing you here, Michael--and fine tips all! Michael, I was not at all surprised to learn that you started writing AND editing at an early age. (I started much later, and I'm still learning.) Thanks for the insights, and the great advice. Good advice- and not just for beginners, either! Unlike my article yesterday (which had 2 typos although we re-read it a dozen times before posting), Michael's article is excellent. Good points. Thanks for posting it. Michael, all good stuff to be reminded of while writing and submitting. Enjoyed meeting you and being able to at least talk briefly with you in person at Bouchercon New Orleans. See you in Dallas in three years. Thanks for the kind comments, y'all. One thing I've learned--and O'Neil reminds me of it--is that we are never our own best editors. No matter how clean our manuscripts are, something always slips through--a typo, a comma splice, or, in the case of my guest post, a glaring lack of parallelism in my subheads. Sigh. Unlike most people, John, I knew what I wanted to do with my life when I was in the eighth grade, and I approached it from all kinds of directions until I found the way in. Of all the dumb things to do, I can’t believe plagiarism. In one particularly sad case, a highly regarded author was outed after using verbatim excerpts from documents, many a century or more old. She said she didn’t know she should give attribution nor lift entire sections if a source was out of copyright, but fans didn’t believe her. Publishers broke contracts, reprints were canceled, books were pulled from shelves. After a hundred published successes, her career was left in tatters with no path to recover from it. I found myself feeling sorry for her, but I remind myself it was word-for-word stealing. Good information, Michael. I so agree that trying to be your own editor is a BIG mistake. Luckily I have some nice friends who are willing to take a look at my manuscripts before I send to an editor of a publication. It really helps. I have a dummy file all set up for short stories which I open, name, save, and write. Even my first drafts have all my contact information and formatting set up. The last thing I do before sending it out, even to my critique partners, is put the final word count number in. Doing this means no format mistakes for me. Pat, I do the same. I moved about a year ago, so I created a new dummy file, but I have to remember to update the address in all the stories that were already in progress before I moved and the stories that have been rejected in the meantime. O'Neil, there actually WERE two typos in Michael's column today, and they were my errors, not his. In posting his column, I typed in "polishing" rather than "publishing" and "for more non-fiction" rather than "far more non-fiction." I've since corrected those, but wanted you to know they were my mistakes and not Michael's. I need to acquire some of his editing skills! So who else noticed Michael's lack of parallelism? Not me! Great reminders for all writers, both new and used. And I enjoyed reading about how early you started writing and editing. I love posts that made me smile and nod my head. Thanks for the reminders, Michael. Good to see you here! Good, basic advice, Michael. Succeeding as a writer is difficult enough without hurting one's chances by ignoring fundamentals.